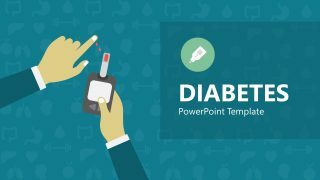 The Anatomy of the Human Tooth PowerPoint Shapes is a beautiful professionally designed presentation that has been produced to assist practitioners in medical dentist lectures or teachers who are coordinating oral hygiene lessons for use with classes of young children. 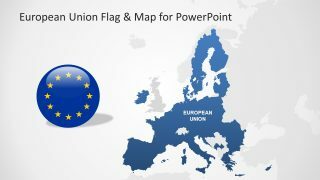 It could even be used to assist in human biology lessons in later learning. 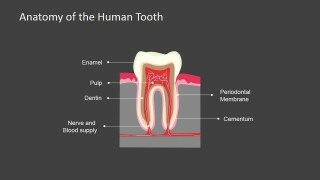 Identify the major structures of human dental anatomy. Discuss in detail the primary characteristics of enamel, dentin, cementum and dental pulp with particular regard to the human tooth. 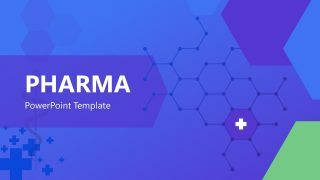 Describe the biologic functions that take place within the oral cavity. 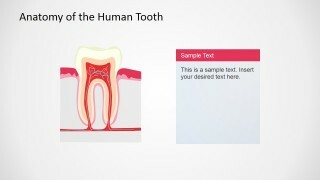 This Anatomy of the Human Tooth PowerPoint Shapes Template is fully customizable and editable. 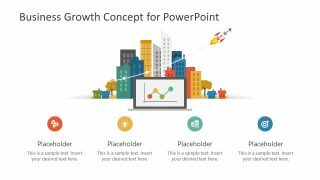 Users of this template can change the background image for a more suitable picture or texture (perhaps their own logo or offices), replace existing icons with any of those found in their own PowerPoint application’s data bank and even edit all of the text. 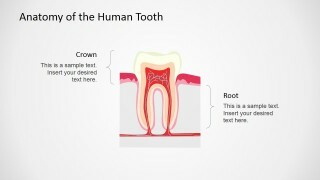 This template, and the high quality clip art that it contains, is perfect for creating high quality presentations to captivate any audience attending a lecture on the subject of the anatomy of the human tooth. 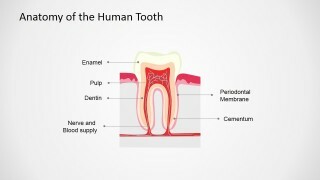 Use our Anatomy of the Human Tooth PowerPoint Template today to promote dental hygiene and help your audience to learn that they can chew whatever they bite off!